Store register allows user to visualize products’ movement and gross sales for sell out customers’ stores. 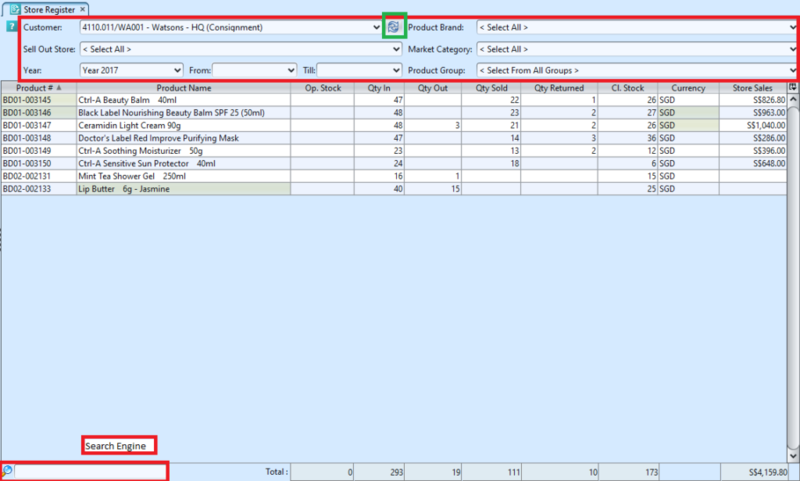 This data will help company in tracking offtake sales and in planning for sell out customers’ sales forecast and stock replenishment. While a Sell Out Store is linked with a warehouse in Samooha, the inventory level in the Store Register is maintained separately from the Warehouse Register for the same warehouse. This is because Store Register tracks Store Import, Store Sales and Store Returns transactions only for record purpose. These store transactions are not posted to the company’s account / inventory. 1. 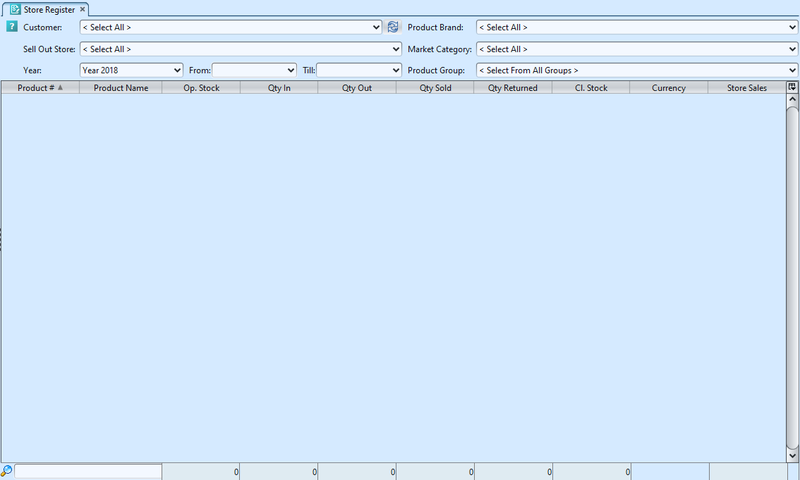 Select a filter in the Store Register, for example a customer from the “Customer” drop-down list on top left side of screen. Below is a table to summarize how transactions in Samooha affect the Stores’ Closing Stock quantity.